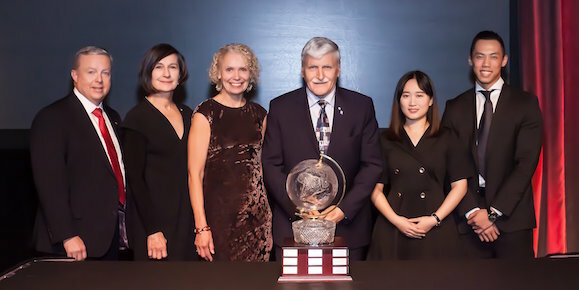 Thank you to everyone who attended the 2018 Scotiabank Ethics in Action Gala, where we presented the 2018 Scotiabank Ethical Leadership Award to celebrated human rights advocate Lieutenant-General (Ret’d) The Honorable Roméo A. Dallaire. Read more about the Ethical Leadership Award. View photos of past galas on our Facebook page: 2017, 2016.